I was talking to a cousin not long ago. We are genetically related and we are pretty certain our MRCA is one of two people. She's done exquisite work mapping out the family trees of all of her close genetic cousins and she has a problem... the people who are related genetically should not be related according to their family trees and the ones that should be genetically related to each other, if the trees are correct, are not. She's encountered a genetic genealogy generated brick wall; a place where all of the evidence that all of these people have gathered doesn't match the genetic truth of who actually parented who. Talking to her about this situation really made me think a lot over the past couple of weeks about my own research. Frankly, it's terrifying for me to consider, given how much of my soul I put into my research, that really, it could just be - wrong. I mean, I kind of flippantly know that it could all be wrong and for naught... but it's hard to consider in actuality. And from that perspective, in contrast, it seems like the times before genetic genealogy was accessible almost seems heavenly. A for sure, well sourced and researched conclusion on a lineage back as far as possible, without question. Of course, the tree would still be wrong, if you're wanting to understand who your genetic ancestors were... but ignorance being bliss and all. Maybe, in that case, what matters is a sense of knowing. It satisfies the itch to have a story and a sense of belonging, even if in error. On the John Turner Project, I have been careful to only include those where both the tree and the genetic connection holds up. However, it's still possible that two people found the same evidence and created the same tree and are genetically related - but are related to a different father or mother somewhere along the way. A crossing of branches on the tree, genetically, that doesn't show up in the documentation. What if (totally hypothetical - I don't have any evidence that this is the case) our 3rd or 4th great grandfather that we all have in common that we THINK is descended from John Turner, because that is what the evidence shows, and we are genetically related, was actually a Caulder, genetically (chose the name randomly from some associated families)? We would then match each other, not other descendants of John Turner (who are unknown, at this point of our hypothetical, because they aren't matches for us), and instead, would match all of these other people who don't believe themselves to be related to John Turner (because they aren't) - and all of our research would be in error. Eep! (for more info on the John Turner project, visit the John Tuner project website. Once upon a time, there were hard working genealogists who traveled the world to city halls and local libraries to look through microfiche and old documents, scanning for the surname in question. There were extended exchanges by snail mail with people you might be related to, which you know because you found their name in a newspaper once and wrote them a letter and they said that their grandmother's name was the same as your great uncle and whenever you find discoveries, you write the other to let them know. And in the end, you create this family tree and you can tell who your ancestors are and who you are related to. Clean. You gather the evidence, you build the case based upon the evidence, the evidence is what is written and what is written is true. Even when digitization and the internet changed the face of genealogy, genealogists still adhered to strict standards of evidence. Tracing roots backwards up trees, finding evidence for each fact, documenting meticulously. At the end, whatever the product was, brick walls and all, was true and accurate as well as we could ascertain without genetic testing. And then, genetic genealogy was accessible to the masses! Finally! Proof is possible! I can finally prove definitively that I am a child of my parents and they of their parents and that my cousins are actually related to me. And we are all related to this other family, with a fully documented path to how it happened and genetics to back it up! Except when it does exactly the opposite. Sometimes, regardless of how meticulously one's tree is researched, the genetics simply don't match and it generates a brick wall that otherwise, one might not have seen. Ultimately, the genetics are the truth of the matter, right? I mean, the are passed from parent to child, without fail, so whatever is in your genetics represents your actual blood ancestors. Except people have children out of wedlock all the time and it's not possible to know who the actual father or mother of an ancestor is, solely based upon genetics, unless they documented it somehow. And although you get half of your genes from your mother and half from your father, as generations pass, the possibilities of anomalies in which halves you inherit become greater. And double cousins. There's that. So, often (maybe it's a Southern thing), I encounter situations in which the well-researched family tree just does not match the genetic story. In these cases, instead of clarifying matters, it presents a (previously invisible) brick wall. In these cases, given the genetic evidence, despite all of the compelling documentation and evidence, someone lied or kept a secret and it's all wrong, with no evidence left behind to point to the truth. All we can do is our best, which is to follow the evidence on it's face value. If the evidence points to a brick wall, then so be it. 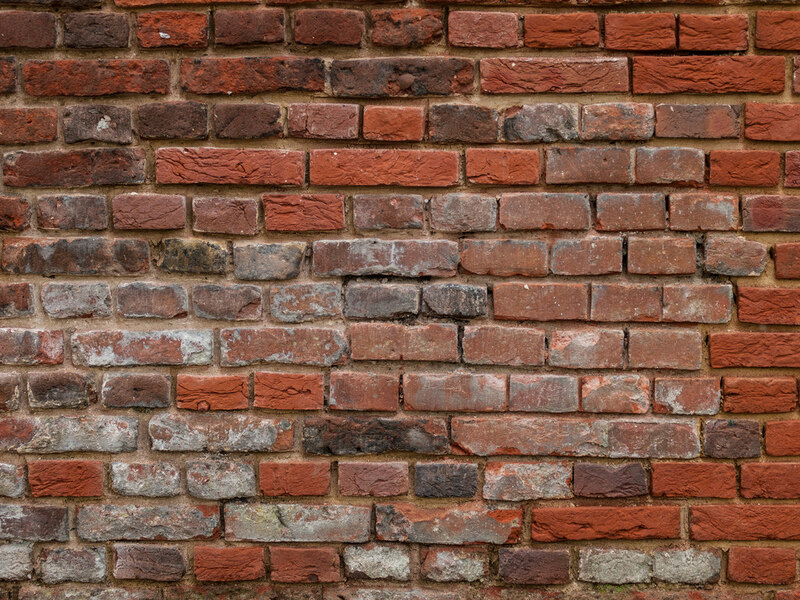 It's a brick wall until proven otherwise. Unfortunately, while offering a whole host of additional clues in some cases, genetic genealogy can also offer a few brick walls as well.